The Great British Bake Off is the ultimate baking battle where passionate amateur baking fans compete to be crowned the UK’s Best Amateur Baker. 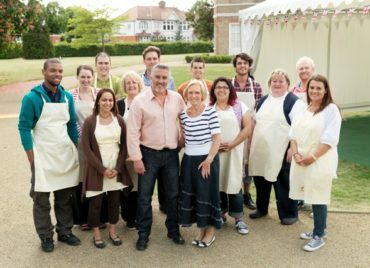 Over the course of 10 hour-long episodes, the series follows the trials and tribulations of the competitors, young and old, from every background and every corner of Britain, as they attempt to prove their baking prowess. Each week the bakers tackle a different baking skill, which become progressively more difficult as the competition unfolds. Testing the bakers’ personality, creative flair and baking ability, the main challenge here is to produce something cute, rustic and altogether home-made-looking. It’s in this test that the Bakers get to show off their tried-and-tested handcooked bites. This challenge separates the wheat from the chaff. Take one basic recipe, with the same ingredients and instructions, and ask our bakers to produce the finished product… sound easy? Well, any variation on the finished product will be a result of their own technical knowledge and experience – or lack of. Bakers are laid bare in this task and this is where the pressure’s really on in the Bake Off. The oven gloves are off in this final challenge where the bakers are able to showcase their depth of skill and talent. The complexities of this task call for a professional standard in taste and appearance. Are they up to it? The judges will be looking for the most impressive and elaborate creations – that better taste first-class too. 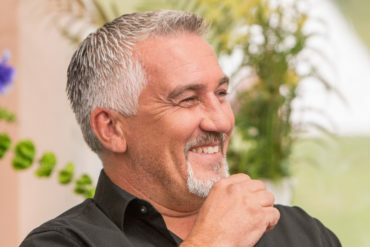 Paul Hollywood is one of the UK’s leading artisan bakers. The son of a baker, Paul originally trained as a sculptor until his father persuaded him to change careers. By combining his love of sculpting and baking, Paul established himself as an innovator. During his time as head baker, Paul worked in some of the most prestigious hotels in the world, including the Dorchester in London. He cemented his reputation as the leading authority on bread making by publishing the best-selling book 100 Great Breads in ten countries – this book has been translated into seven languages. Paul has presented his solo series, Bread in which he revealed his secrets to making breads from all over the world; & Paul Hollywood’s Pies and Puds for BBC1. Paul Hollywood’s British Baking came out in October 2014 and Weekend Baker launched in 2016. Paul is currently in production with his new C4 series A Baker’s Life. 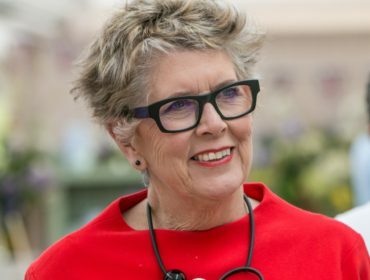 Prue Leith is one of the country’s foremost culinary experts, and her distinguished career has seen her as a restaurateur, caterer, food teacher, food writer, novelist (her stories are full of food too) television cook… and even a radio cook on the Today programme. Prue is the founder of Leith’s cookery school, which has seen many thousands of students pass through its doors, including the likes of Diana Henry, Lorraine Pascale and Gizzi Erskine. Her interest in proper training and education led to involvement with endless charities to do with chef training, teaching children to cook in schools and training young people. She has set up several successful charities teaching children and young people to cook. She’s had a life outside food too. She has chaired many organisations, including the Restaurant Association, Ashridge Management College, the Royal Society of Arts, 3E’s (a not-for-profit education company turning round failing schools) and The School Food Trust, charged by the government to improve school meals. She has published twelve cookery books, seven novels and a biography Relish: My Life on a Plate. She has been the cookery correspondent for The Daily Mail, Sunday Express, and The Guardian and now writes regularly for The Spectator. Before joining The Great British Bake Off, Prue was a judge on the BBC’s Great British Menu and C4’s My Kitchen Rules. Sandi Toksvig is one of the country’s leading and most beloved writers and broadcasters. She began her comedy career at Girton College, Cambridge where she found time to write and perform in the first all-woman show at the Footlights, as well as achieve a first-class degree. Sandi’s diverse broadcasting pedigree includes the long running Saturday morning show Number 73, Call My Bluff (as regular team captain), Whose Line Is It Anyway?, Antiques Master for BBC2 and the C4 teatime quiz 15-1. More recently Sandi has taken over the host chair of BBC2’s QI. Sandi is also a familiar voice for BBC Radio 4 listeners, from her time as regular host of The News Quiz. Sandi has more than twenty fiction and non-fiction books for children and adults to her credit, and is kept even busier as Chancellor of Portsmouth University. Noel Fielding is a comedy writer and performer who was educated at Croydon School of Art in South London. Noel and comedy partner Julian Barratt were nominated for the coveted Perrier Award for Best Newcomer during their Edinburgh Festival debut in 1998. Their multi-award winning series The Mighty Boosh began as a Radio 4 series in 2001, before transferring to BBC3. This was followed by Noel’s solo series, Noel Fielding’s Luxury Comedy, and the follow-up Luxury Comedy: Tales From Painted Hawaii. Noel has appeared in various guises on shows such as Garth Marenghi’s Dark Place, The IT Crowd, and How Not To Live Your Life, and as a team captain on Never Mind The Buzzcocks. Noel is also an accomplished stand-up comedian and has performed shows all over the world. He is also the founder of the band Loose Tapestries, formed with Kasabian’s Sergio Pizzorno. 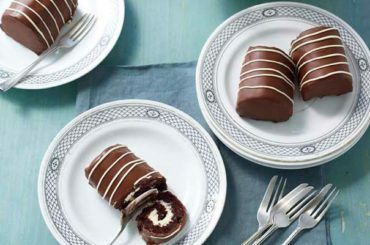 In our first series, the search began for the country’s top home baker. 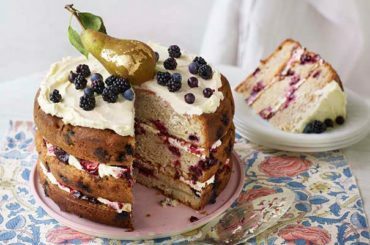 Ten passionate cooks travelled the country, baking cakes in the Cotswolds, biscuits in Scotland, bread in Sandwich, puddings in Bakewell and pastry in Cornwall before a grand final in London. The series also traced the history of British baking: visiting local baking landmarks and discovering why we bake what we bake today. And the winner was Edward. Over eight weeks, 12 of the Britain’s best amateur bakers will show-off their cake-baking, pastry- and bread-making and patisserie skills as they are challenged to make everything from the perfect tarte au citron to towers of macaroons, and from iced fingers to family pies. But only one can become Britain’s Best Amateur Baker. That’s the icing on the cake! All the challenges are devised and judged by legendary cookery writer and baker Mary Berry and acclaimed Master Baker Paul Hollywood. The winner was Joanne. 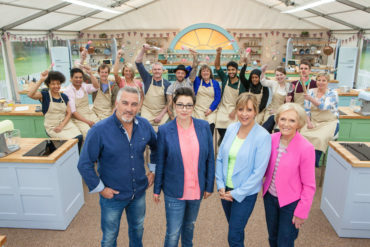 Over ten weeks, twelve of the country’s best amateur bakers face challenges offered up by the King and Queen of baking, legendary cookery writer Mary Berry and Master Baker Paul Hollywood. 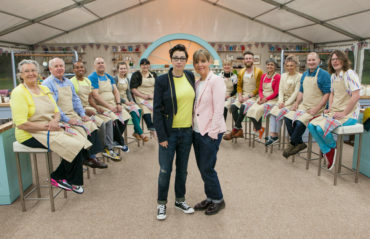 Giving the bakers support whilst licking their mixing bowls clean are Mel Giedroyc and Sue Perkins who continue to host the proceedings. 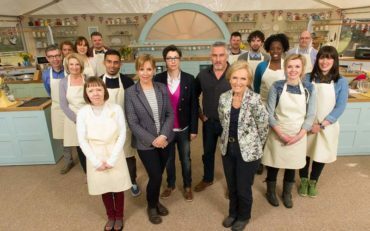 The Great British Bake Off returned for a third series with cakes, pies, breads and the odd kitchen disaster. The winner was John. For the first time ever, the tent welcomes a baker’s dozen to do baking battle. Mel Giedroyc and Sue Perkins coax them through their baking trials, all the while under the scrutiny of the judges Mary Berry and Paul Hollywood. But with 13 bakers, at any time Mary and Paul may decide to lose not one but TWO bakers. Frances was crowned winner. 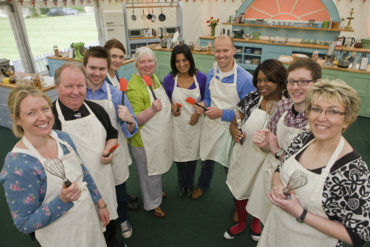 The Bake Off was back for another year, welcoming the tent’s youngest-ever baker and the oldest. 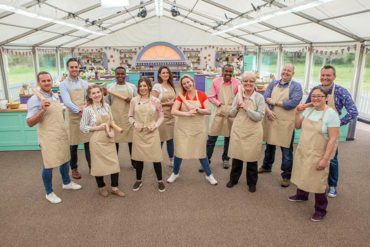 All 12 bakers were challenged on their baking skills from every angle by judges Mary Berry and Paul Hollywood, all the while helped – or hindered – by Mel Giedroyc and Sue Perkins. 30 challenges, 12 brand-new bakers, two judges and two presenters, but there could only be one winner – Nancy. 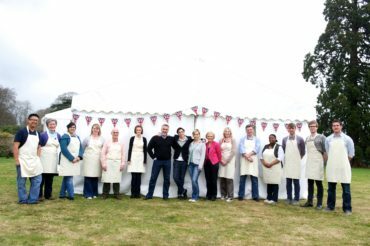 Once again 12 new bakers don their aprons and head for the iconic tent in the heart of the British Countryside. Judges Mary Berry & Paul Hollywood have created 30 new challenges that will test their baking prowess, creativity and skill in a bid to find the country’s best amateur baker. From Victorian classics to high end patisserie, chocolate sculptures to everyday staples the bakers will need a cool head and even colder hands to make it to the final. With them every step of the way are Mel Giedroyc and Sue Perkins ready to lend a hand or a shoulder to cry on. Nadiya was crowned winner. From bread to biscuits, high-end patisserie to store cupboard classics and beautiful botanical creations. The bakers will have to whisk, knead, ice, roll, beat and bake week after week to make it to the final. Candice was crowned winner. 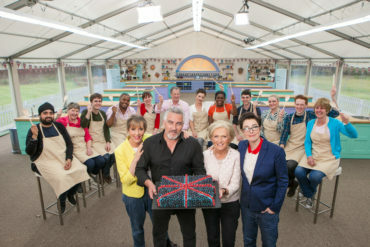 Sandi Toksvig and Noel Fielding were joined in the iconic tent by 12 of Britain’s best amateur bakers – all united in their aim to impress Paul Hollywood and new judge Prue Leith. 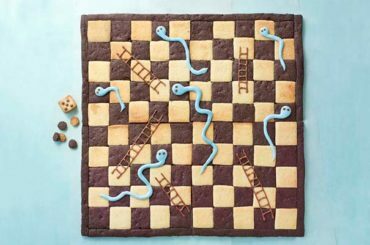 Paul and Prue set 30 brand new baking challenges. Those who don’t make the grade will be asked to leave. Those who rise to the challenge will be named star baker. They all think they have got what it takes. But only one was crowned the winner of The Great British Bake Off – Sophie!